Is Your Audience Strategy Adaptive? 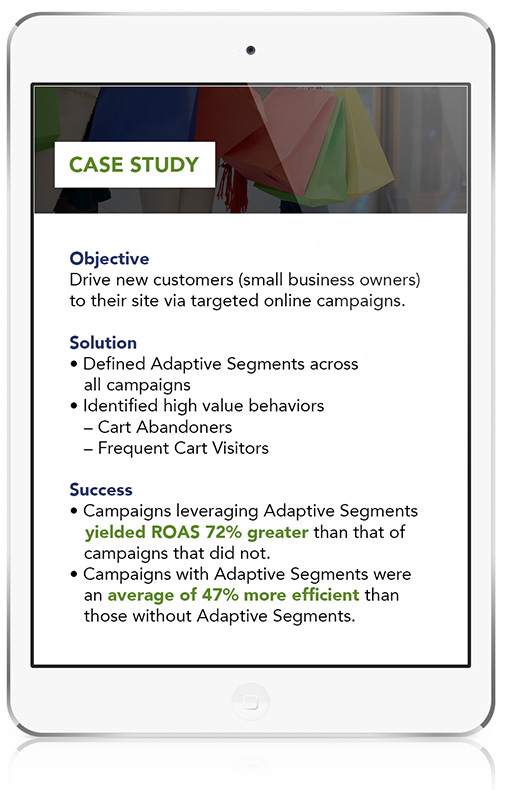 Adaptive Segments are dynamic, cross-device audiences that update instantly in real-time as marketers define, re-define, and activate them. Combine CRM, site, and media data for a single view of the consumer across channels and devices. Interactively define and size granular segments that fully populate with historical data upon creation. Activate audiences in media within seconds and benefit from real-time updates as your consumers interact with your brand. Fuel customer insights with holistic media + audience reporting feedback and unique backtesting capabilities.